A new Dunkin' Donuts store in Quincy, Massachusetts is focusing on technology and convenience. It's another step in the company's rebranding process, as some stores are dropping half of its iconic name. The modern makeover for the 68-year-old brand features a sleek, eco-friendly interior, with drive thru lanes dedicated to online orders. They offer all kinds of drinks on tap, including a brand new coffee nitro brew that's already a hit. The new menu, which the company began testing last February, will be unveiled Monday in New England and at all locations in the United States by mid-March. Dunkin' Donuts executive Chris Fuqua says this could be the future look of all their stores, as a response to the competition from other chains and changing customer habits. It's all part of an ongoing campaign to focus more on coffee and keep things simple, like the sign outside that only says Dunkin'. But for purists like Lamar Moreis, he says you don't need to change it up. Moreis enjoys driving to the very first Dunkin' Donuts in America, still in Quincy. "You gotta keep some things original, like the original store here." There are no plans to get rid of the iconic location or rush in new technology. But at the next generation store, the new technology has already arrived. 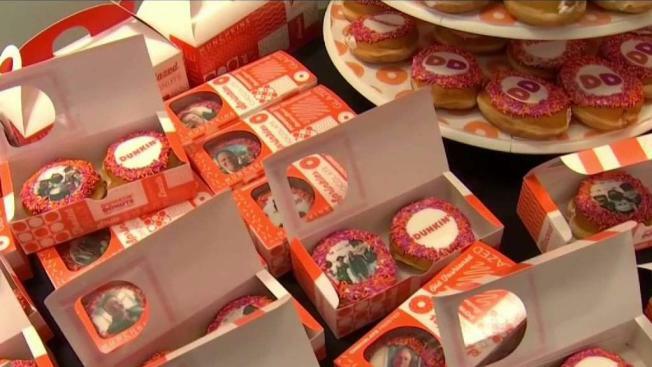 They can use an iPhone and edible paper to personalize donuts within minutes. 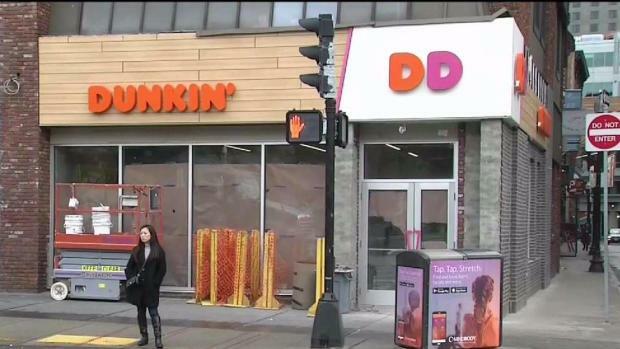 Depending on customer feedback, Dunkin' Donuts says there are more plans to open these test stores across New England and other parts of the country.